Last year flew by in a whirlwind of new projects and exciting developments so we thought it only fitting to take a moment to reflect on all that Huntsman has achieved in 2017. 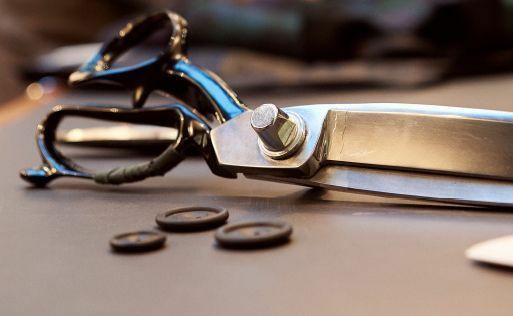 We’ve seen our bespoke cutting and tailoring teams grow substantially. It’s been hugely satisfying to welcome an array of new craftsmen (and women!) 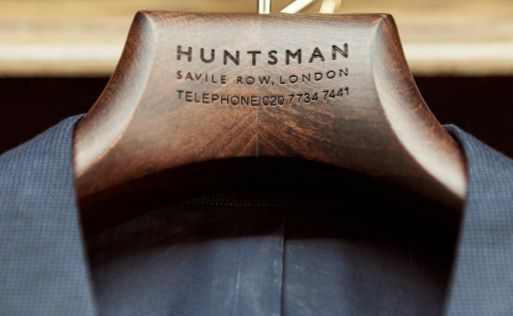 to Huntsman’s Savile Row workrooms, all of whom share our passion for creating the most refined, traditional and innovative bespoke tailoring. A lot of work has happened behind the scenes as well, and we are proud to have created over a thousand bespoke suits this year. 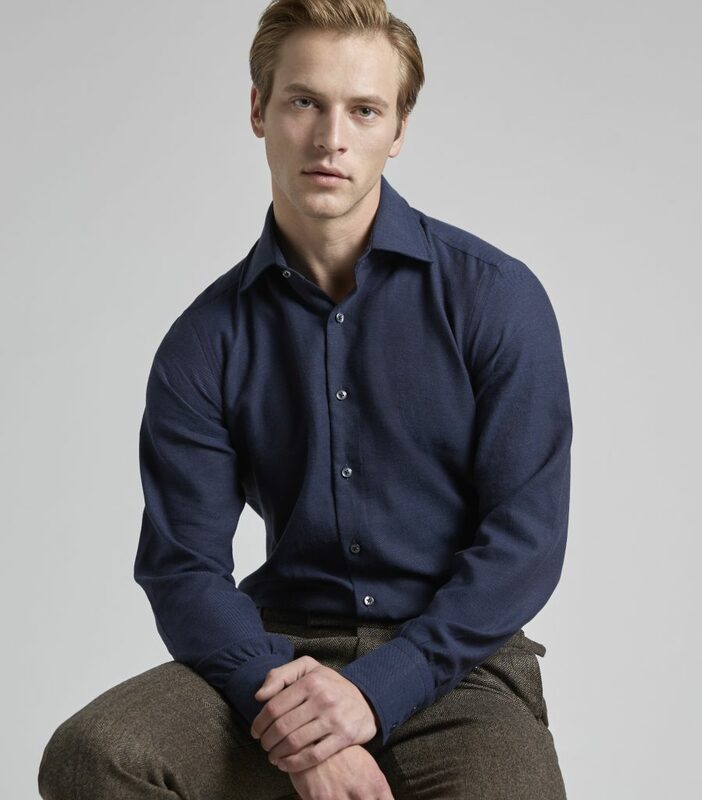 Huntsman has always been the source of the best suiting cloths, mixing innovation and tradition. 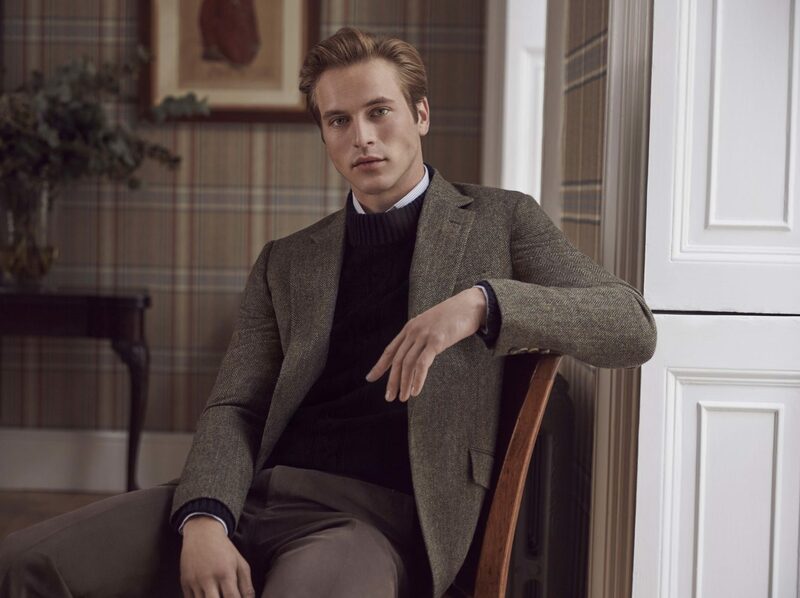 This year marked a significant step forward for Huntsman, as we continue to champion high-performing natural fibres in all our tailoring. Alongside the best heavy Irish linen, we introduced pure bamboo jacketing and the best silk-blend cloths: fabrics that combine luxury with lightness and breathability for warmer climes. Co-Head Cutter Campbell Carey paid homage to Huntsman archives to celebrate iconic weaver Joshua Ellis’s 250th anniversary. 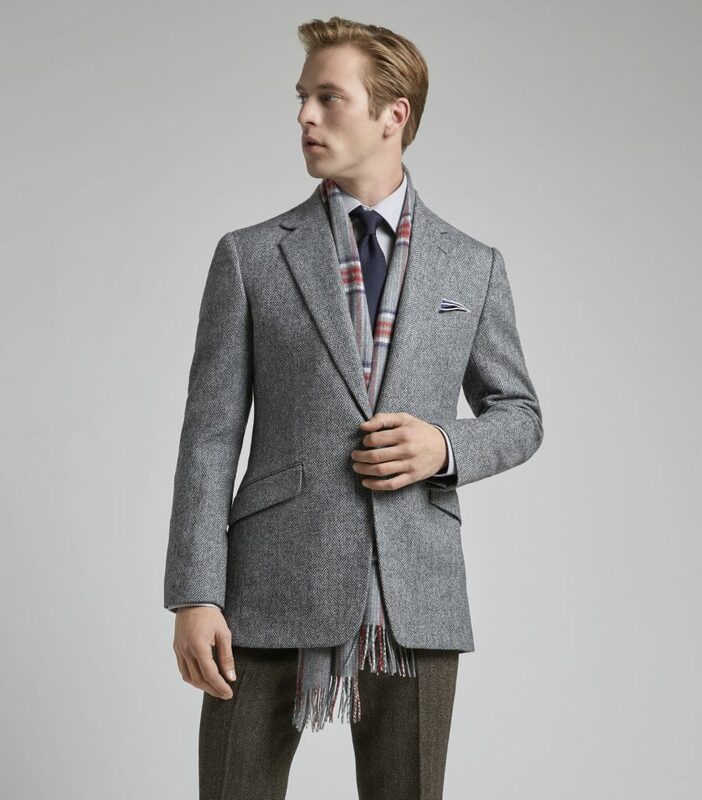 Inspired by a ticking check from the 1900s, four luxury cashmere cloths have been created, for four seasons of wearing. 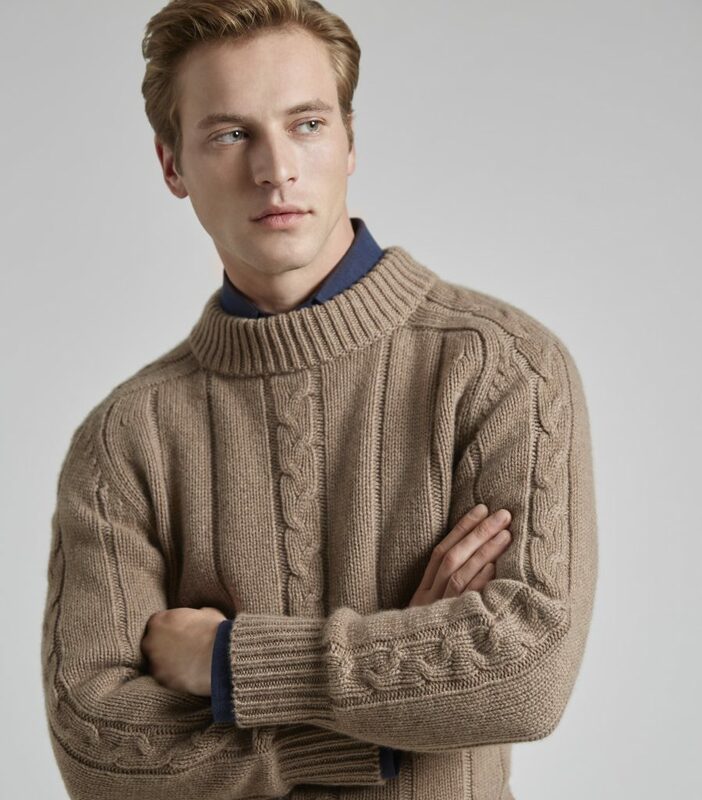 Whilst bespoke leads the way at Huntsman, Campbell as Creative Director is also in charge of infusing the house DNA into our ready to wear. 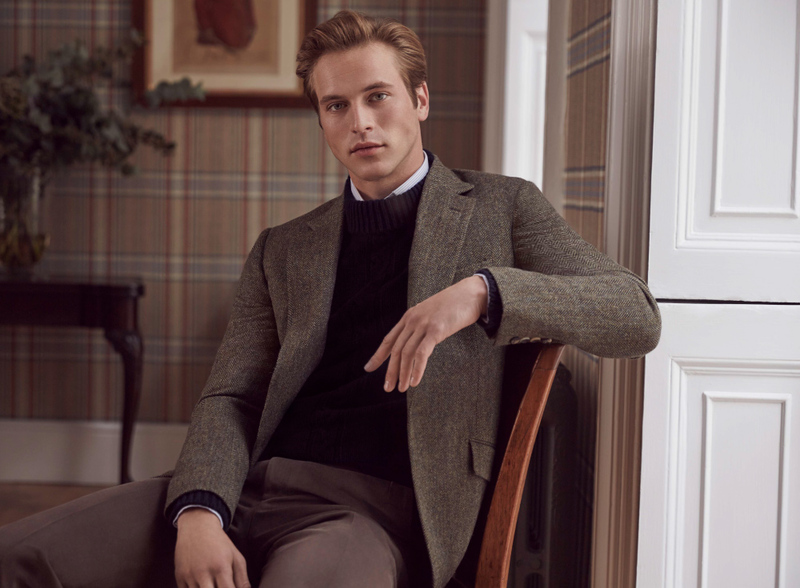 This year, he has rendered our iconic single-button jacket in two ready-to-wear checked cashmere sports jackets, one in Green Dorset and the other in Blue Sussex. Created from an exclusive cloth woven by Joshua Ellis again. 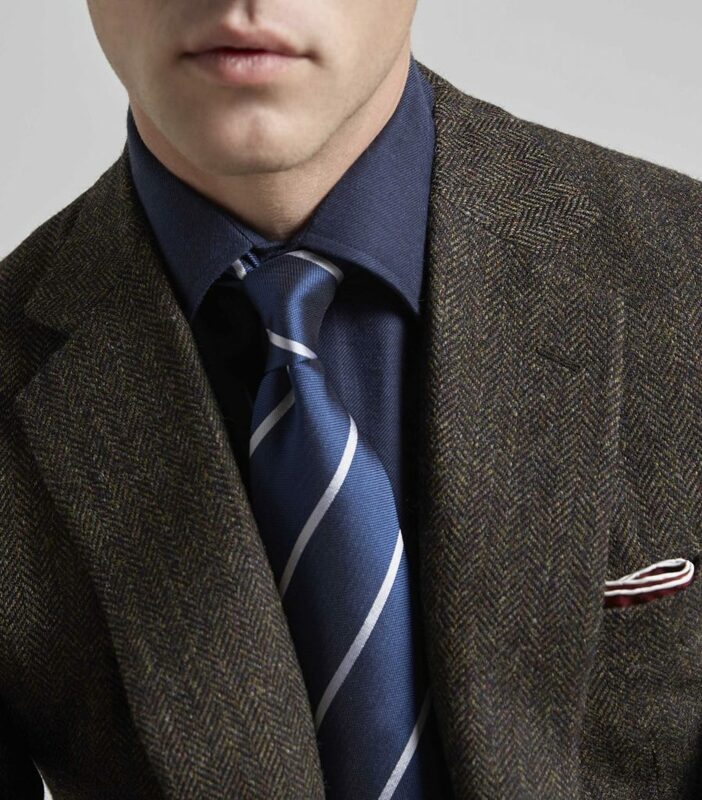 For our autumn/winter selection, we’re offering a sumptuous navy cashmere doeskin blazer for the first time, cut in a cloth of unparalleled softness and lustre. 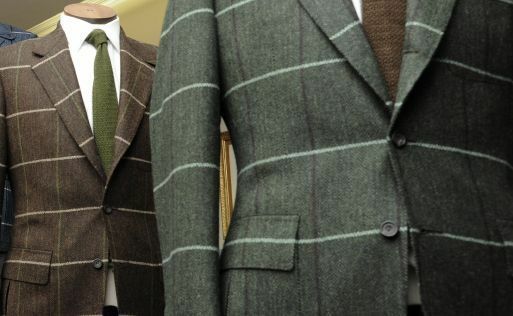 Of course, alongside rare fibres, we’ve been working hard with old favourites too – namely our house tweeds, creating variations of the Carnegie checks and Scottish moors colours celebrating the taste of Huntsmen enthusiasts Messrs Hamish Bowles, Robert Couturier, Leo Daly and Sir John Richardson. You may remember last Christmas Huntsman’s Tweed Competition from your Christmas card? We received over 250 entrants from around the world, who each posted their tweed designs on Instagram. The competition closed end of February when the 20 designs with the most likes were then put before a panel of judges, gathered for a lunch at London’s 5 Hertford Street. 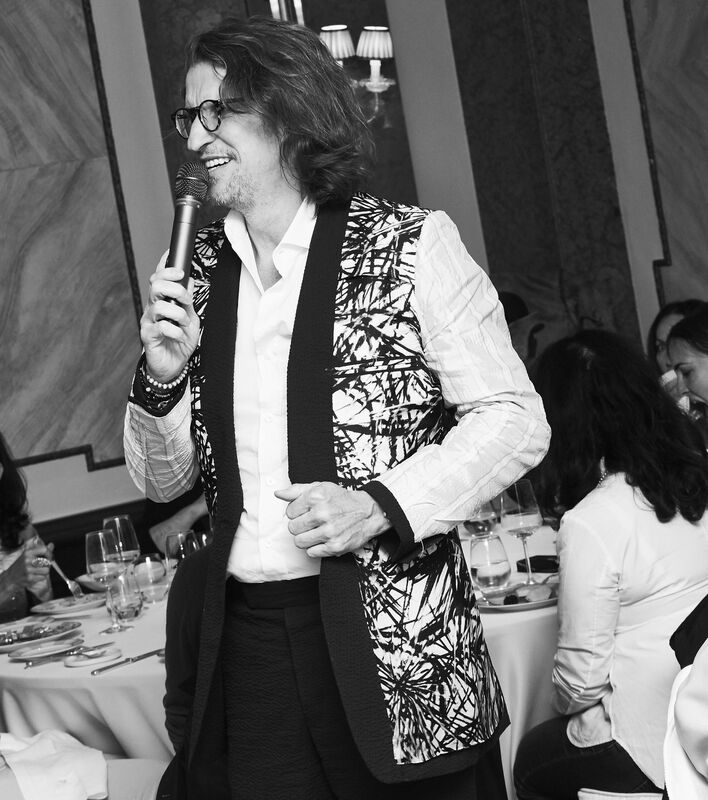 Among the judges were interior designer Nicky Haslam, arbiter of elegance Nick Foulkes, television personalities Trinny Woodall and June Sarpong, Toby Bateman, Managing Director of Mr Porter, with the lunch co-hosted by our chairman Pierre Lagrange, and Robin Birley. The victorious tweed was a creation by a Nebraska native, Mr Mark Lorenzen, shockingly evocative of Scottish landscapes which Mr Lorenzen only knew from photographs. Incidentally, this year’s competition has just relaunched and will continue until March 2018 – don’t miss your chance to enter. 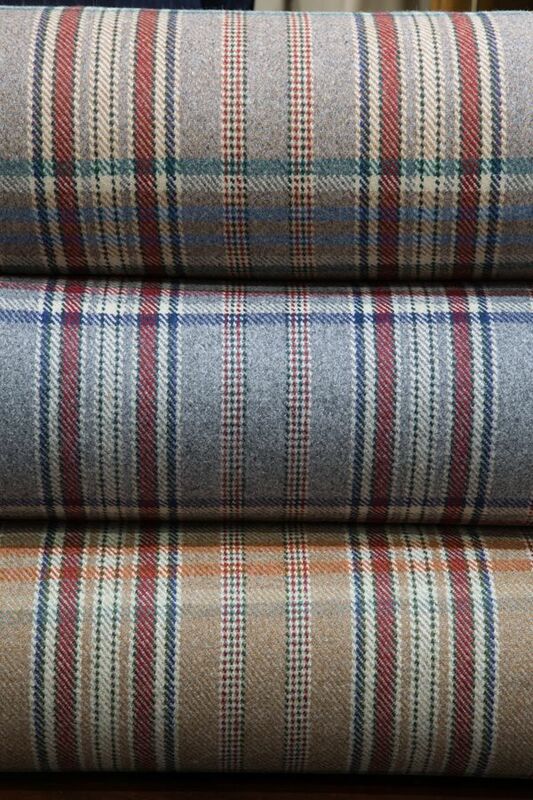 This year we also introduced our Bespoke Tweed Experience, for customers who’d like to take bespoke to another level. As a part of the creation process, you’ll design your own tweed with our Head Cutter, Campbell Carey, then be flown to remote Islay to watch your tweed on the loom, the oldest one in the British Isles. 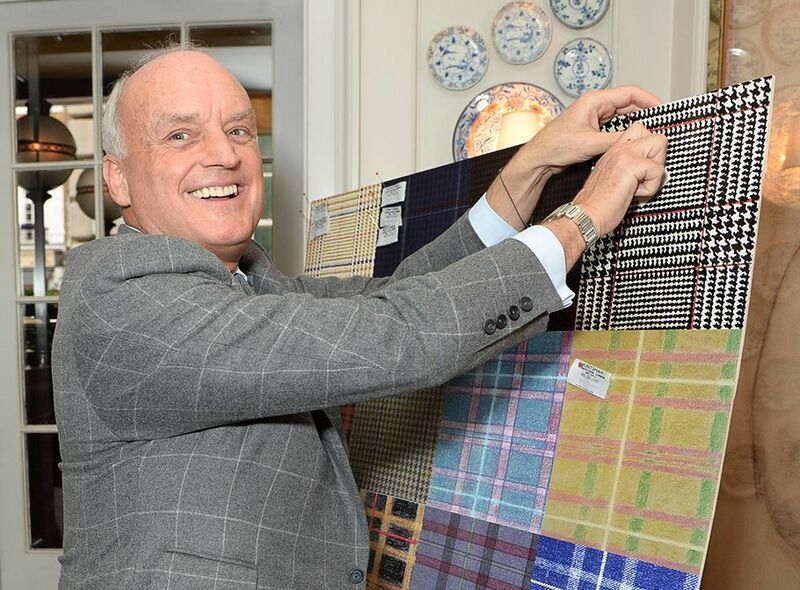 30 metres of cloth will be yours, as well as a bespoke jacket. 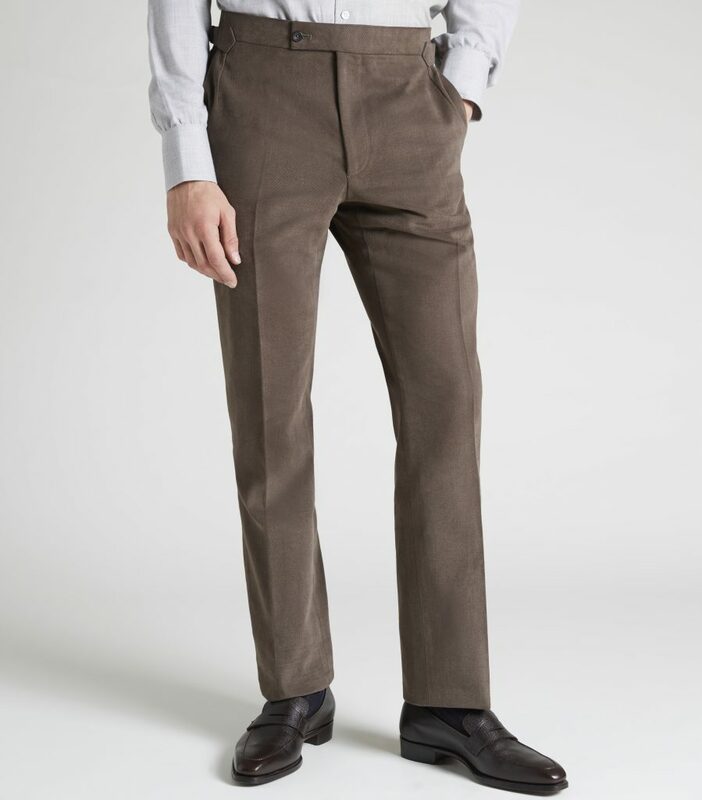 The remaining cloth, enough for approximately six suits, will be stored at Huntsman for your future orders, only available to you, your friends and family. Amongst our technological leaps forward this year was the introduction of a personal home delivery service, together with TOSHI, enabling Huntsman clients to elect a specific delivery time and date when shopping online. As well as customers chosen attire, we also deliver alternative sizing and further suggest products as well as conducting fittings and handling returns on the spot, for a hassle free experience. 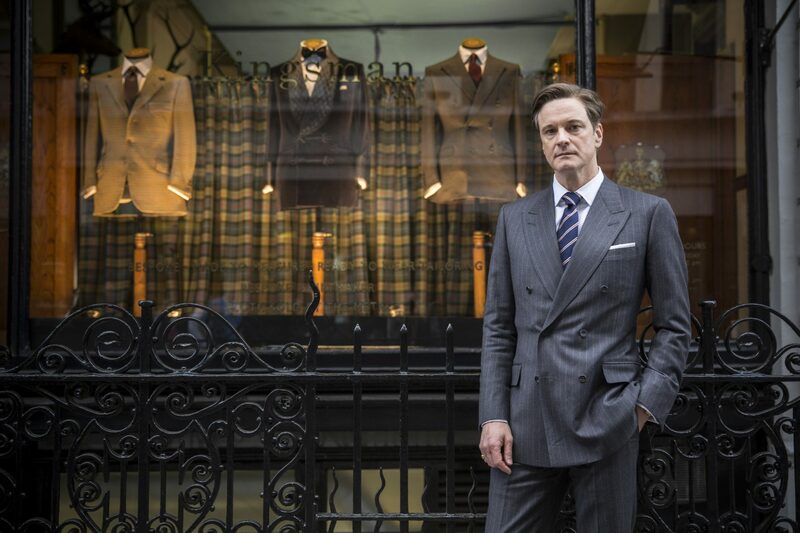 We’d be remiss not to celebrate the release of The Kingsman sequel, accepting to see our beloved shop blown up in the movie, as The Golden Circle attacks the Kingsman’s secret HQ. Working closely with the production, we took a hint from the movie and further expanded our presence in America. Our establishment in New York on 57th Street evolved from a small pied-a-terre to a fully fledged shop, albeit by appointment only. Previously occupied by Tony Bennett, the double height ceiling artist studio accommodates a fully equipped cutting room for, our now resident cutter in America, Ralph Fitzgerald Moullet. We’ve also introduced the Huntsman Bespoke Airstream to America, a mobile tailoring studio upholstered in the same tweed adorning the walls of our Savile Row Club room, bringing a bit of our London home to the American Roads. The iconic 1980’s original Airstream has received a full Huntsman Bespoke treatment, with both the interior and exterior decked in Bespoke Tweeds. 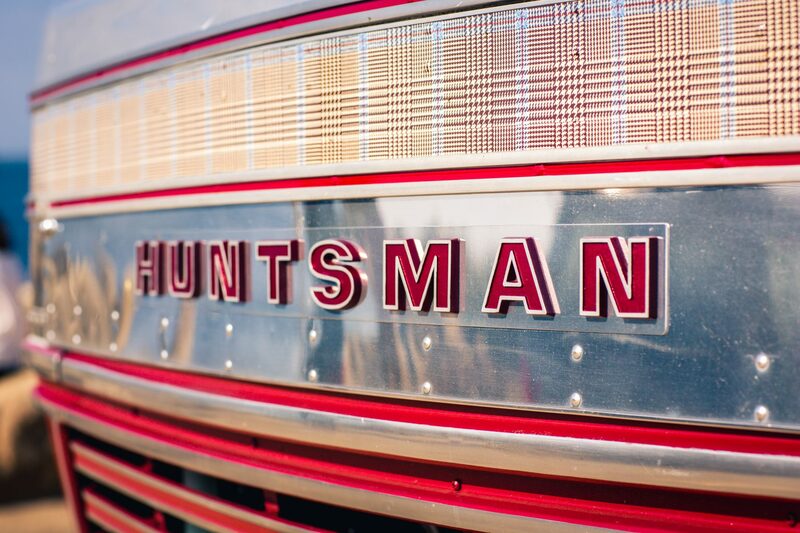 The Huntsman Airstream was a star at Pebble Beach during the annual Concours d’Elegance, praised for the combination of an American icon and British tradition of bespoke elegance. British aristocracy features extensively in Huntsman archives as well as today’s clientele, so we were thrilled to be asked to recreate Adele Astaire’s Huntsman riding breeches for the extraordinary exhibition Five Centuries of Fashion at Chatsworth. Fittingly, Spring 2017 saw the release of the wonderful Huntsman & Sotheby’s coproduction, Treasures from Chatsworth, documenting 500 years of contemporary art collecting by The Dukes of Devonshire. The viewer discovers how heritage can be contemporary, and art an inspiration for all crafts. 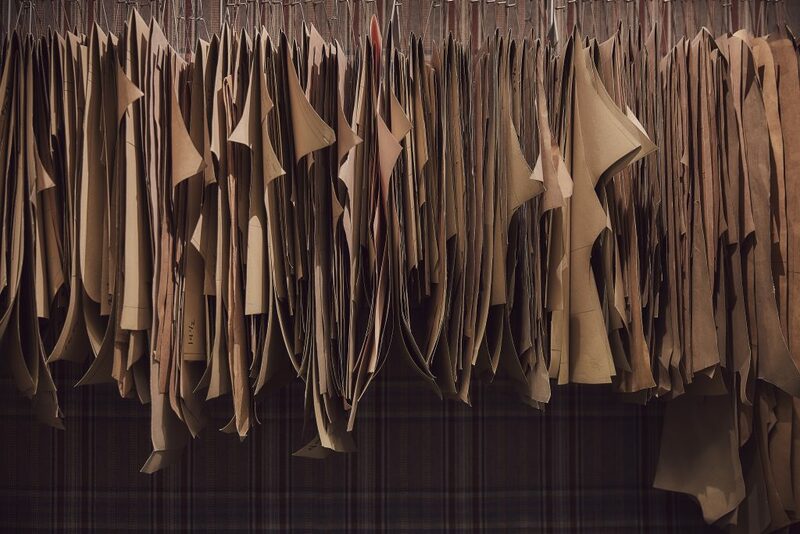 Fast forward from Chatsworth to Venice, Huntsman celebrated the Arts Biennale with a creation of a limited edition bespoke lining in collaboration with artist Beatrice Caracciolo. And finally, we thought it fitting to close this year’s letter with a reminder that bespoke tailoring isn’t always about men! Our very own Communications Director, Daisy Knatchbull, became the first woman in history to wear bespoke morning dress to Royal Ascot, on Ladies Day this year – and caused quite a stir in the process. 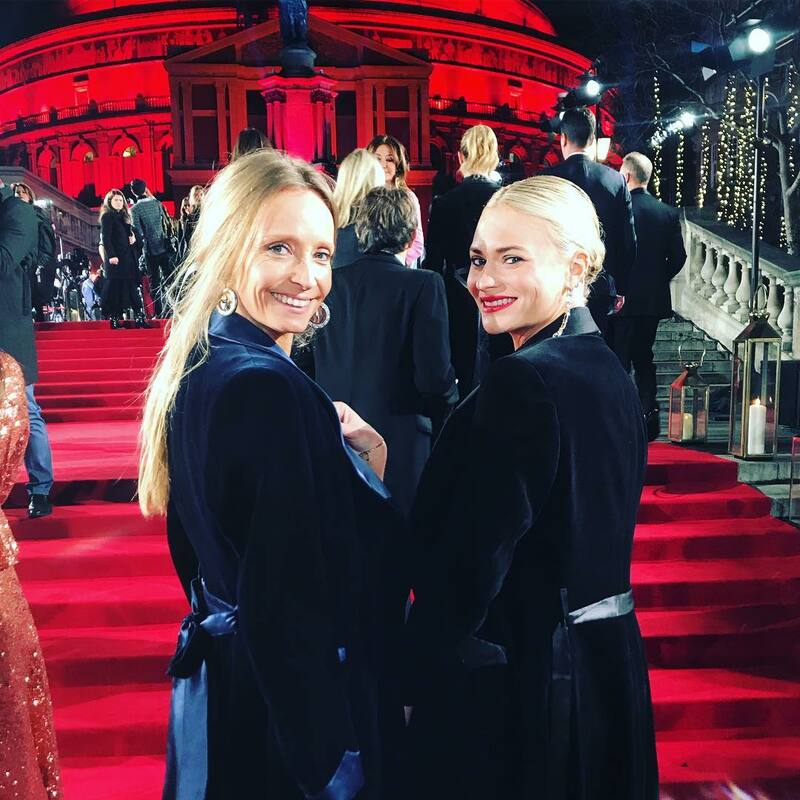 Huntsman also recreated a vintage 1960s Huntsman evening coat from our archives for eight Huntswomen at this year’s British Fashion Awards (including Amber Le Bon, Hayley Bloomingdale, June Sarpong MBE) to showcase the wonderful ladies bespoke capabilities. Huntsman dressed leading ladies from the likes of Coco Chanel, Katherine Hepburn and Grace Kelly, so Campbell Carey had a field day delving into the archives to unearth a distinctive dressing gown style coat originally conceived in the 1960’s that he modernised to become a timeless bespoke piece for today in both velvet and cashmere tweed. Of course, there’s more to tell, and lots more to come for 2018. We’re continuing to evolve and develop all that Huntsman stands for and to offer an ever more personal and innovate service to our clients.